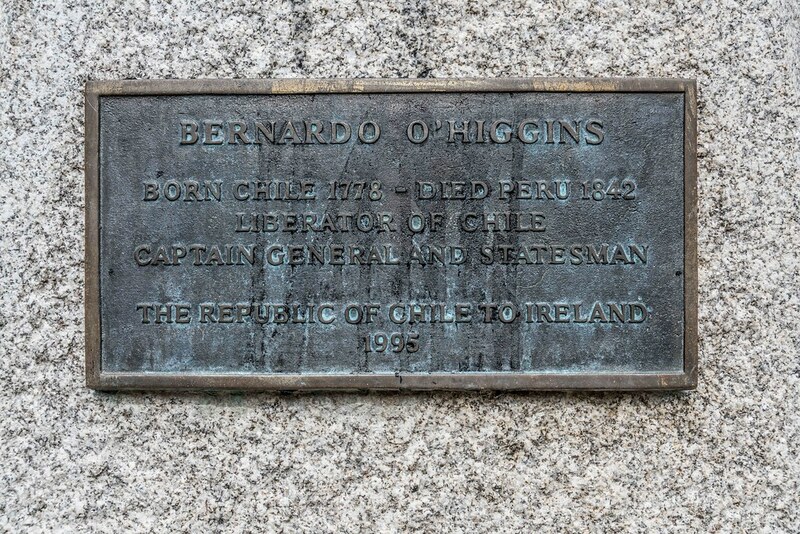 Bernardo O’Higgins (1778–1842) was a Chilean independence leader who participated in freeing Chile from Spanish rule during the Chilean War of Independence. 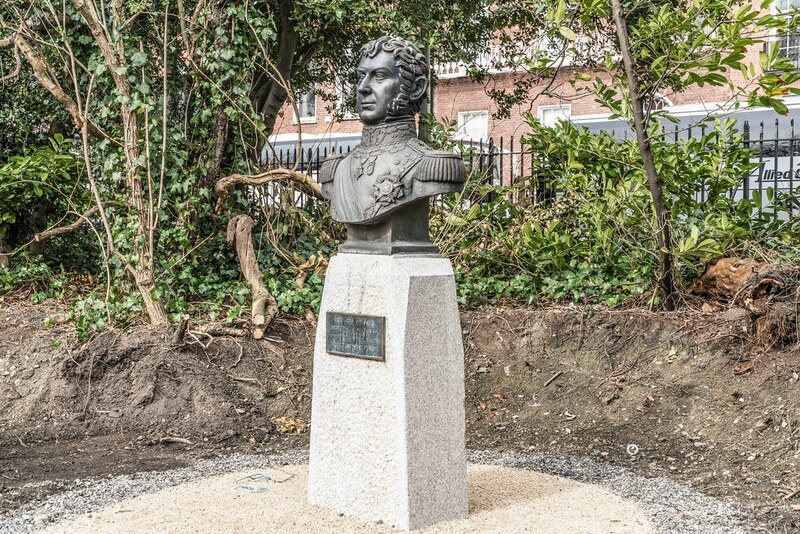 Although he was the second Supreme Director of Chile (1817–1823), he is considered one of Chile’s founding fathers,as he was the first holder of this title to head a fully independent Chilean state. As leader of the government he introduced reforms to the military and founded the Chilean Navy. 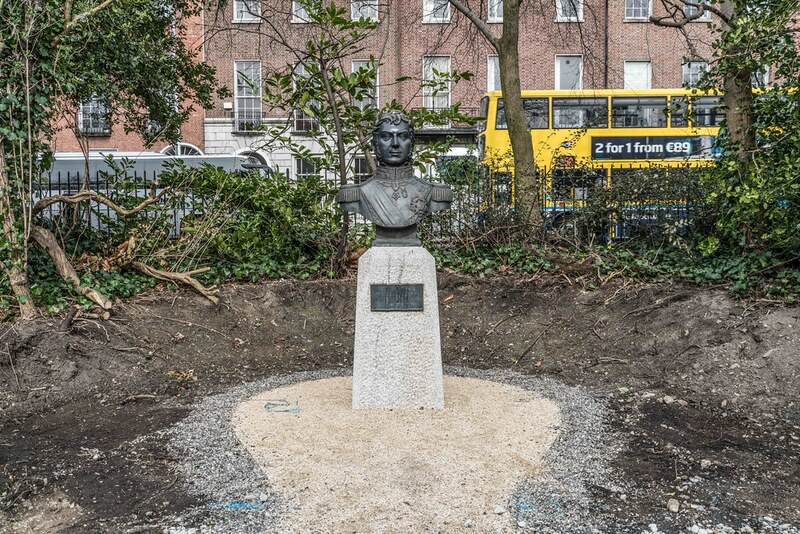 O’Higgins was of Spanish and Irish ancestry of County Sligo origins. 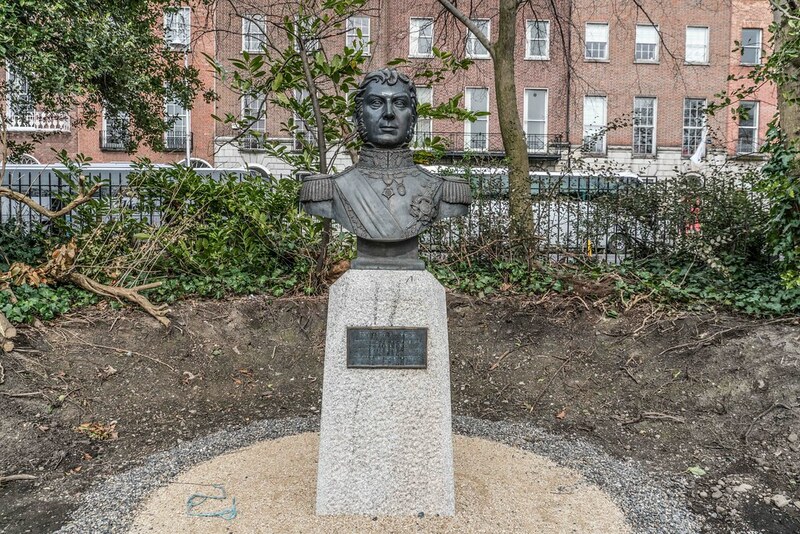 This bronze portrait sculpture of O’Higgins in uniform was commissioned by the Republic of Chile and presented to Ireland. Little is known about the artist Francisco OrellanaPavez who also designed medals and coins in Chile during the 1980s-90s.